The ICT's Incidents and Activists Database is a comprehensive survey of Open Source Intelligence (OSINT). 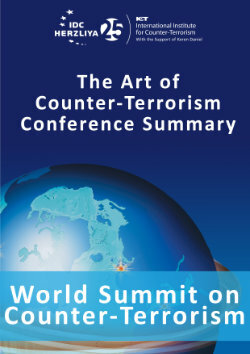 The ICT's Database is one of the most all-encompassing non-governmental resources on terrorist incidents in the world. Based on comprehensive and integrated information compiled since 1975, the database records over 33,000 incidents, including successful terror attacks, foiled attacks, and counter-terror operations, along with background and follow-up information. The International Institute for Counter-Terrorism Monthly Summary of Events January 2017.